Indian Style Macaroni is a perfect Indian snack. Full of Indian flavour and spices, this macaroni can be served as an evening snack or in school lunch. Pasta and macaroni is one of the most popular snacks. They can even be eaten as full meal. Some of the most common pasta recipes in the world are Red sauce pasta, white sauce pasta, pesto pasta, etc. Now a days Indian style veg macaroni is also getting popular. Indian style macaroni is an easy recipe. It is made using Indian spices and masalas. It is quite flavorful and is full of Indian flavors. 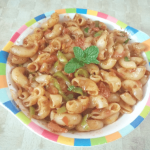 Indian style veg macaroni can be prepared as after school snack and evening snack. You can also give this Indian style veg macaroni to the kids in their lunch box. They would love to eat this chatpati macaroni. We will add some vegetables like chopped capsicum, chopped carrots, chopped french beans and chopped mushrooms in this recipe. You can also add sweet corn in this recipe. Macaroni is one of the quickest snack. It gets prepared quickly. And therefore is perfect when you are running out of time! The Indian spices that we are adding in this recipe would give a delicious taste to this recipe. We will also add some sauces like tomato sauce in this recipe. For making the Indian style veg macaroni we will firstly boil the macaroni. So, we will heat water in a deep pan, till it comes to a boil. Then we will add macaroni and salt. give it a stir. And we will cook the macaroni on full flame. Strain and keep it aside. Then we will take a deep bottom pan, add oil. You can also use butter in place of oil. The next step is to add ginger garlic paste. We will saute the ginger garlic paste on low flame for a minute. Now we will add all the vegetables. And will cook them for four to five minutes on a medium flame. Add chopped tomatoes, salt, red pepper powder, tomato sauce, green chilli sauce and vinegar. We will mix this mixture nicely. Cover this and cook till the raw smell of tomatoes goes away! Now we will add the boiled macroni and garam masala. We will ook this for two to three minutes on a medium flame. Indian style veg macaroni is ready to be served. I am sure that not only kids but even the grownups would love to eat the Indian style veg macaroni. 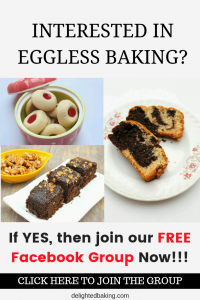 Do try this recipe, if you have any questions regarding this recipe feel free to ask them in the comments below. Indian style veg macaroni - Chatpati masala Indian style macaroni. Heat sufficient water in a deep pan and bring it to a boil. Add macaroni and salt. Stir to mix, cover and cook on high heat for 10-12 minutes. Strain and keep it aside. In a pan, add 1 tablespoon oil. Heat it. Add ginger garlic paste. Saute it, on a low flame, for a minute. Add onions, capsicum and carrot. Saute for 4-5 minutes, on a medium flame. Now, add the chopped tomatoes, salt, red pepper, tomato sauce ,green chilli sauce and vinegar. Cover it and cook it till the raw smell of tomatoes goes away . Now, add the boiled macroni and garam masala. Cook for 2-3 minutes, on a medium flame. Chatpati Indian Style Macroni is ready !!! You can add around 1/2 cup of nutrela granules to make this chatpati Indian style macaroni even healthier!